The next election may or may not take place on Tuesday, February 18, 2020. This is the non-partisan primary, and will occur only if a primary is needed for the offices up for election in April. Whether or not the February primary is needed will be determined by January 3, 2020. The spring general election -- which includes the U.S. Presidential primary -- will be held on Tuesday, April 7, 2020. You must be registered in Blooming Grove in order to vote. You will need to show a valid photo ID in order to receive a ballot. You may choose to vote absentee. Details for all of these tasks can be found below. 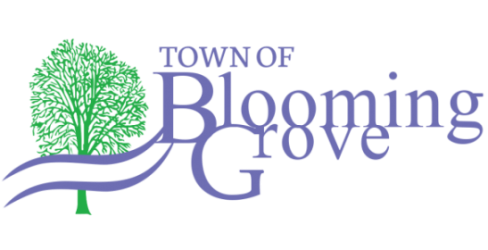 In order to vote in Blooming Grove, residents must be registered. If you reside in Blooming Grove and need to register, the easiest way is to stop by the Town Office during office hours any day the office is open (except the day before an election). Yes, you can register on election day itself if you wish. In order to register, residents must provide a proof of residence document such as a driver’s license, utility bill, bank statement, government check, pay check (stub), or other government document. The document used must be current, and have your name and current Blooming Grove address on it. Additionally, residents need to fill out the EL-131 voter registration form -- which the Town Office has, or can be found in the "Forms and Permits" section of this website. While you can register to vote by mail, it's usually more efficient to do it in the Town Office. All voters who wish to receive a ballot must provide a valid photo ID. For most voters, their Wisconsin driver's license or Wisconsin DOT-issued ID meets this requirement. For those folks who don't have these forms of ID, other options are available such as a valid passport, military ID or certificate of naturalization. If you aren't sure if your form of ID will be sufficient, visit www.bringit.wi.gov. Any registered voter may vote absentee for any reason. The most efficient way to vote absentee is in the Town Office. Stop in during office hours, provide an acceptable photo ID, and you can vote. In-house absentee voting for the April 2 election will be available March 18 - 29. If you wish to vote absentee by mail, download and fill out the Absentee Ballot Application located in the "Forms and Permits" section of our website. Then send it to the Town Office with a copy of your photo ID and you will be mailed a ballot as soon as they become available.